Wow were we busy today at the Berean office. Thankfully we had a lot of great help and even some with muscles. 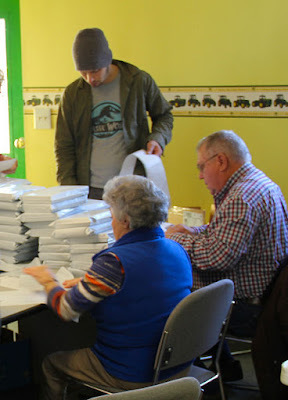 Muscles were needed today as 444 Bibles were sent out. Most of these Bibles had to be stuffed and wrapped. 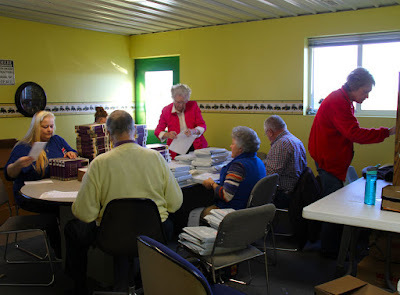 We had a new volunteer, Jenny who was put right to work with stuffing the Bibles, she would hand them to Tiffany who would stick the Bibles in the wrapper and seal it, then it went to Eva Jean who was applying the address return labels and around the table to Bruce, Lila and Chuck. Each person had a job to do and did it well. David Jacob was the muscle man today. He and Rachel did the carrying of the boxes, dumping of the boxes, and the loading of the boxes out to the van. 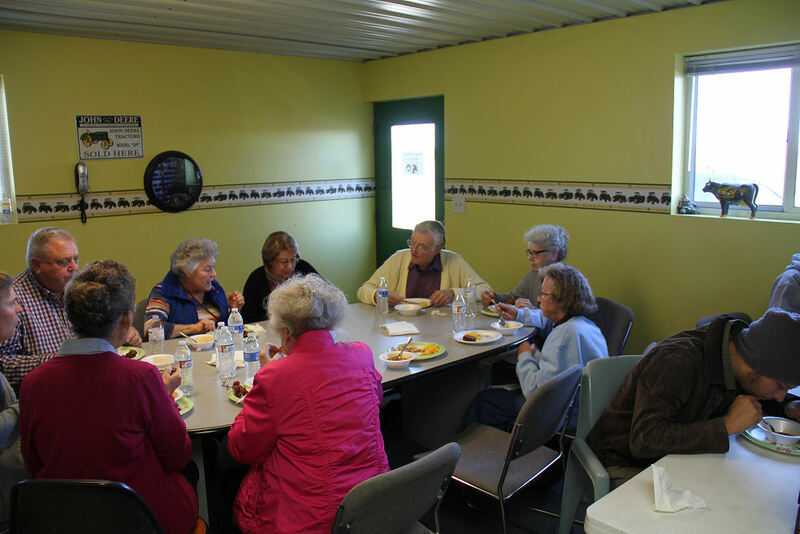 We were almost finished by lunch time and were able to enjoy a tasty low calorie soup meal furnished by Diane. It really did taste good even if it was diet. We were pretty pleased to have survived another week.